Meniscus tears are a very common cause of knee pain. 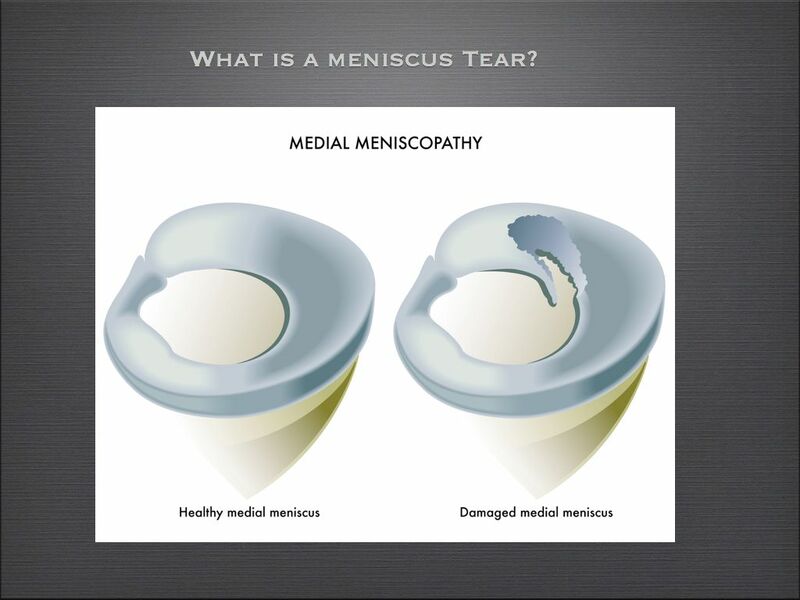 Tears of the meniscus can vary by location, type, size and the amount of pain they produce. The most common location for a meniscus tear is the posterior horn of the medial meniscus. The meniscus is a C-shaped cartilage disk that is found in the knee. We have two menisci in either knee. We have the medial meniscus on the inner side of the knee and the lateral meniscus on the outer side of the knee. The menisci serve a critical function in the knee as a shock absorber or cushion. 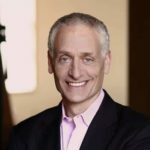 This helps to minimize the stress on another type of cartilage that we have in the knee which we call the articular cartilage. The articular cartilage coats the ends of our bones within a joint. If the articular cartilage wears away, arthritis will occur. By protecting the articular cartilage, the meniscus helps prevent the onset of arthritis. People can suffer tears of the meniscus because of trauma, sports injuries or the meniscus can tear simply because it wore out. 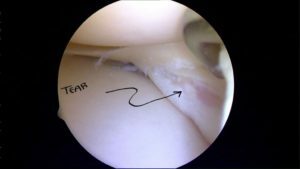 By far, the most common location for a tear is in the back, and on the inner or medial side of the knee — that is the area we call the posterior horn of the medial meniscus. The posterior horn is also the most common area for degenerative tears of the meniscus where the tissue simply wore out, and it is a very common cause of pain in runners. As mentioned in my recent post, the majority of posterior horn tears are determined to be degenerative. These degenerative tears are usually managed without the need for surgery. Most of you who have a degenerative meniscus tear will do very well without surgical management. Many will improve with the use of a compression knee sleeve and a course of natural anti-inflammatories or supplements. Just because something is torn, doesn’t always mean that it needs to be “fixed”. Surgery for meniscus tears is not always necessary. Cold/ice compression can help when the pain is particularly bad. This is particularly true for a “degenerative” posterior horn medial meniscus tear. 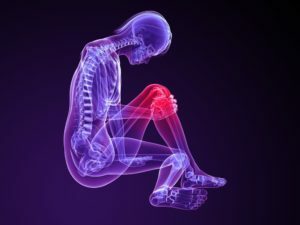 On the other hand, “Flap tears”, “bucket-handle tears” and other larger tears of the meniscus are more than likely to lead to surgery because of the persistent pain and mechanical symptoms such as popping, locking and instability. Posterior horn medial meniscus tears in children tend to lead to a recommendation to consider surgery since these tears are usually repairable. In addition, children have much more regenerative or healing potential. If a meniscus tear is repaired, then the risk of developing arthritis drops significantly. 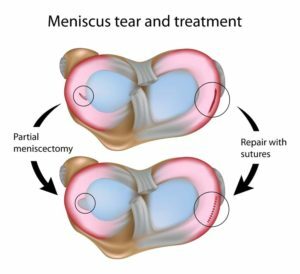 Generally speaking, the treatment options for meniscus tears include rest, physical therapy, activity modification and occasionally a surgery we refer to as an arthroscopy. An arthroscopy involves placing a small fiber-optic camera into the knee through a 1/4 inch incision. The camera is used to visualize the meniscus and other structures within the knee. During an arthroscopy, we have the choice of either repairing the meniscus tear or removing the torn piece. The decision to repair or remove the torn portion is made at the time of surgery. We need to see whether or not the meniscus is repairable based on its quality, location, and size. Preference is given to repair posterior horn medial meniscus tears, if possible, to help preserve the meniscus and minimize the risk of developing arthritis.